W B Yeats is one of the greatest names in Irish and British poetry. With his influence firmly grounded in the Romantic movement of Byron and Shelley, he created his own particular style which went on to help shape the modernist poetry of the early and mid-twentieth century. Although he mainly used traditional verse in his work, as many had before him, Yeats was famed for his unique use of symbolism. His choice of words and their structure suggested not just the thing they were describing. They also alluded to unspoken thoughts or more elusive ideas. This approach did not prove to be a huge commercial success during his early career. However his style changed in later works to become more striking and austere, with his subject matter becoming more contemporary and relevant to audiences. This change and greater critical acclaim finally led to financial security and also literary respect long after his death. 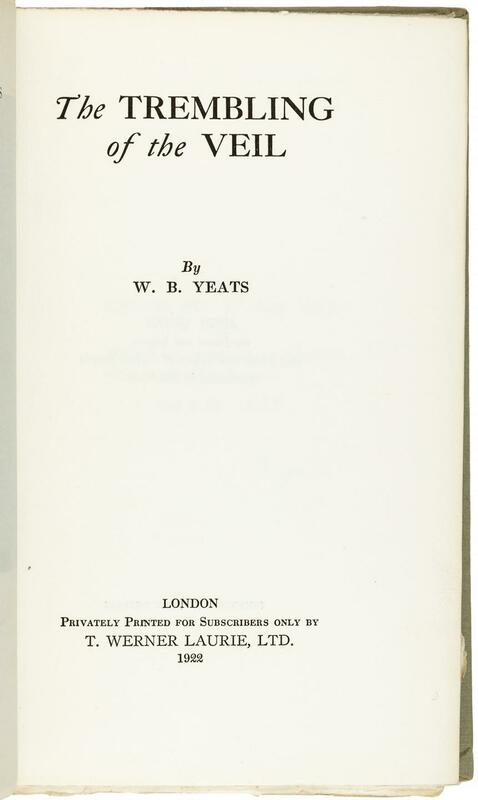 Much of Yeats early work focussed on Irish culture, with poems based on the mythology and fairy tales of his homeland as well as Gaelic songs and verse. 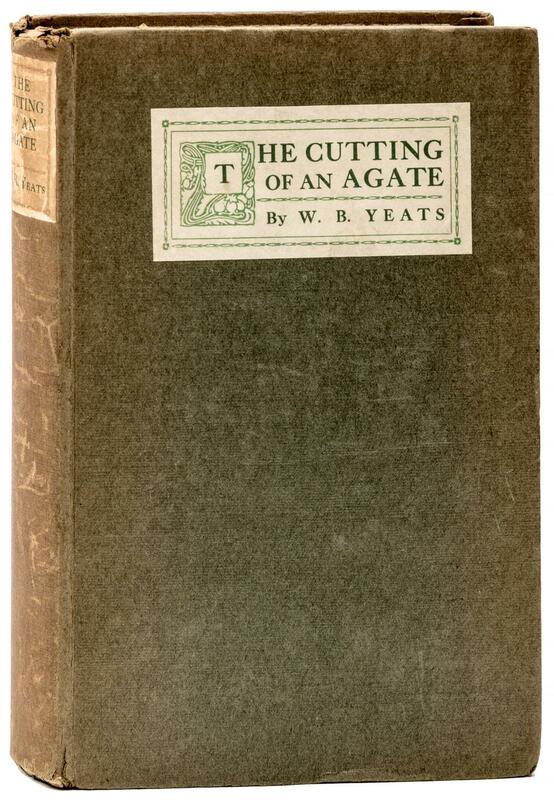 Yeats was a proud Irishman and was at the forefront of a literary revival in the country. As a result, he is still revered in Ireland today and has become something of a national hero. Writing for more than fifty years, Yeats published dozens of books -- mainly poetry of course -- but also plays and non-fiction pieces. 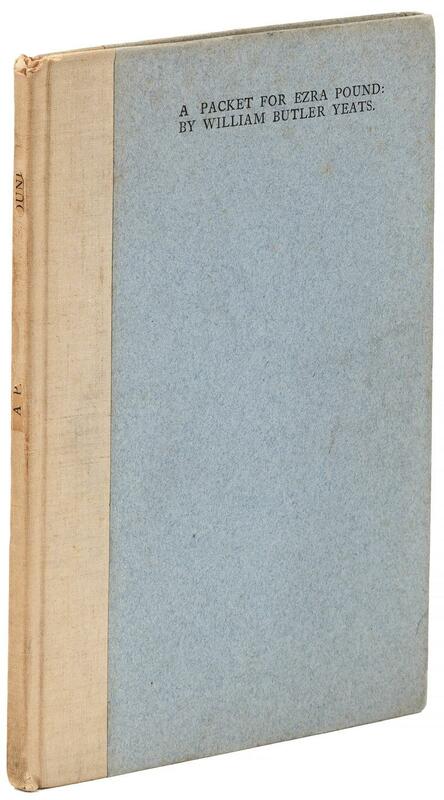 One of his most acclaimed works, The Winding Stair and Other Poems from 1929, fetches more than $1,500 at auction as a first edition. 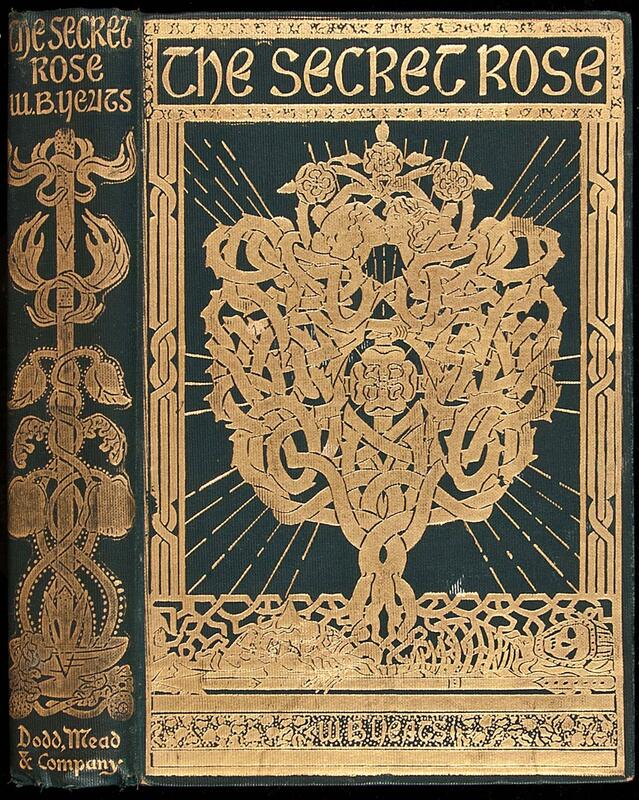 Other famous titles fetch a similar price, although first editions of some of his less well-known plays can be obtained for less than two hundred dollars. Yeats, William Butler. Fairy and Folk Tales of the Irish Peasantry. Walter Scott, London (1888). Edited and Selected by W.B. Yeats. Yeats, William Butler. John Sherman and Dhoya. T. Fisher Unwin, London (1891). 2000 copies. Yeats, William Butler. John Sherman and Dhoya. Cassell Publishing Co., New York (1891). by Ganconagh. Yeats, William Butler. Countess Kathleen. T. Fisher Unwin, London (1892). An Irish Drama, and Various Legends and Lyrics; frontispiece illustration (Cuchullain Fighting the Waves) by J.T.Nettleship. Yeats, William Butler. Celtic Twilight. Lawrence and Bullen, London (1893). MEN AND WOMEN DHOULS AND FAERIES; 2 copies. Yeats, William Butler. Works of William Blake. Bernard Quaritch, London (1893). Poet, Symbolic, and Critical; Edited with Lithographs of the Illustrated Prophetic Books and a memoir and interpretation; 3 volumes; limited to 500 copies. Yeats, William Butler. A Book of Images. Unicorn Press, London (1898). William T. Horton; Noteworthy for the 10pp introduction by Yeats. Yeats, William Butler. Shadowy Waters. Hodder and Stoughton (1900). Yeats, William Butler. In the Seven Woods. Dun Emer Press, Dundrum (1903). 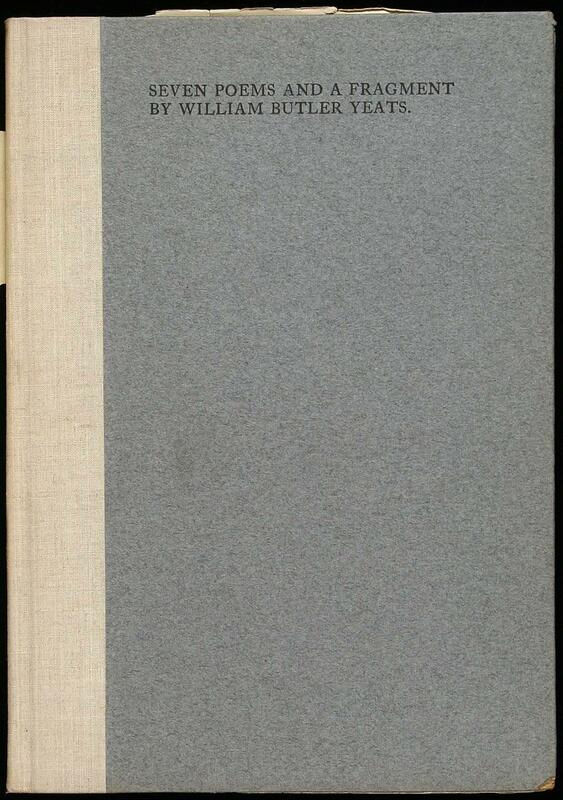 Being Poems Cheifly of the Irish Heroic Age; 325 copies. 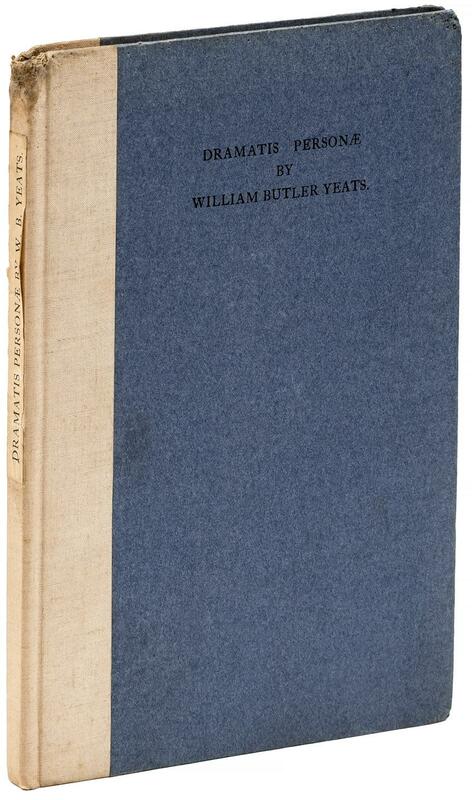 Yeats, William Butler. In the Seven Woods. Macmillan and Co., Ltd (1903). Being Poems Chiefly of the Irish Heroic Age. Yeats, William Butler. Stories of Red Hanrahan. Dun Emer Press, Dundrum (1904). 500 copies printed. Yeats, William Butler. The King's Threshold. Privately printed, New York (1904). A Play in Verse; 100 numbered copies were printed. Yeats, William Butler. Sixteen Poems. Dun Emer Press, Dundrum (1905). 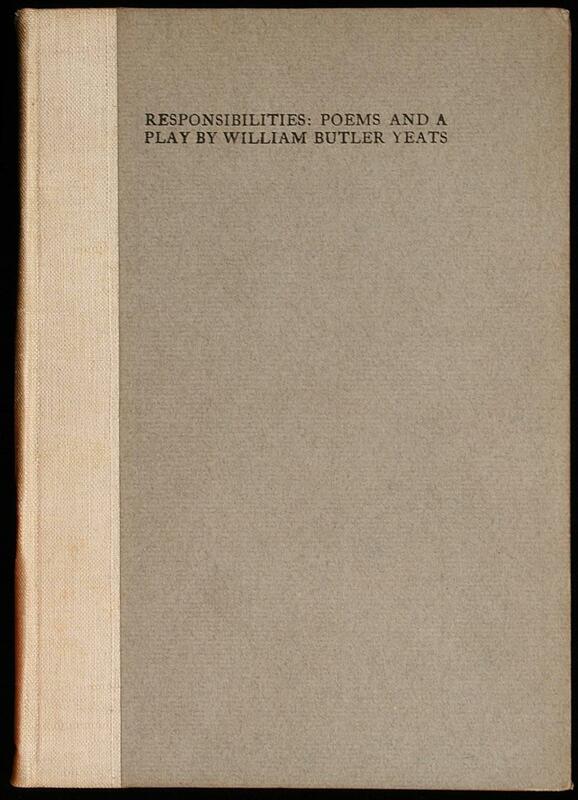 William Allingham; Introduction By W. B. Yeats; 200 copies. Yeats, William Butler. Collected Works. Shakespeare Head Press, Stratford on Avon (1908). 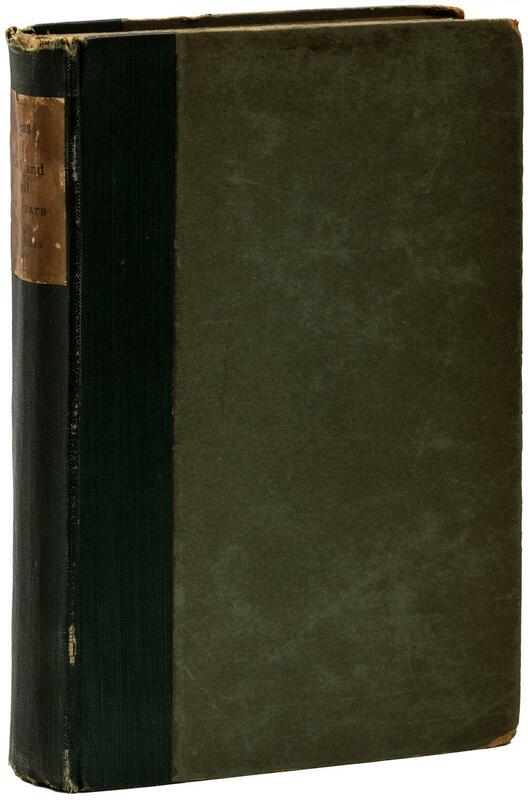 In Verse and Prose; 8 volumes; 1060 copies; drawings by John S. Sargent. Yeats, William Butler. Unicorn from the Stars. Macmillan Company, New York (1908). 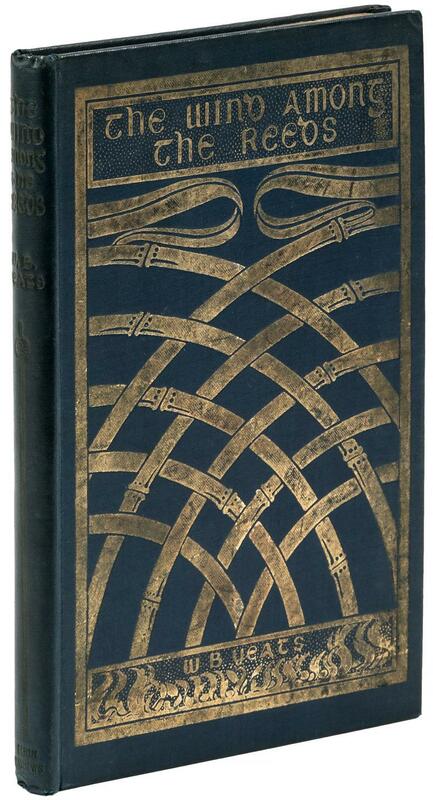 Lady Gregory; And Other Plays; limited to 1200 copies. Yeats, William Butler. Poems. A.H. Bullen, London (1909). Second Series. Yeats, William Butler. Green Helmet. Cuala Press, Dundrum, Ireland (1910). 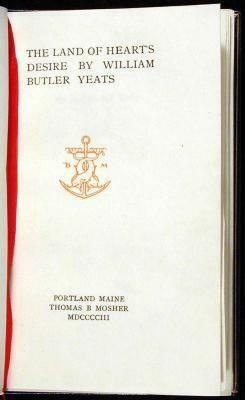 Nobel laureate in Literature; And Other Poems; limited to 400 copies. Yeats, William Butler. Synge and the Ireland of His Time. Cuala Press, Churchtown, Dundrum (1911). 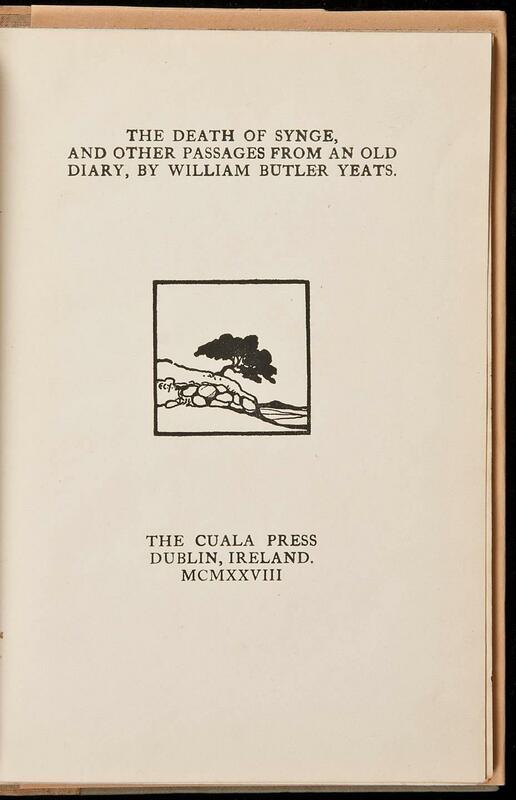 by William Butler Yeats with a Note concerning a Walk through Connemara with Him by Jack Butler Yeats; 350 copies. Yeats, William Butler. Poems. Fisher Unwin, London (1912). edition has revisions to The Wandering of Usheen; Lands of Heart's Desire; The Countess Cathleen. Yeats, William Butler. Responsibilities. Cuala Press, Churchtown, Dundrum (1914). Poems and a Play; 400 numbered copies. 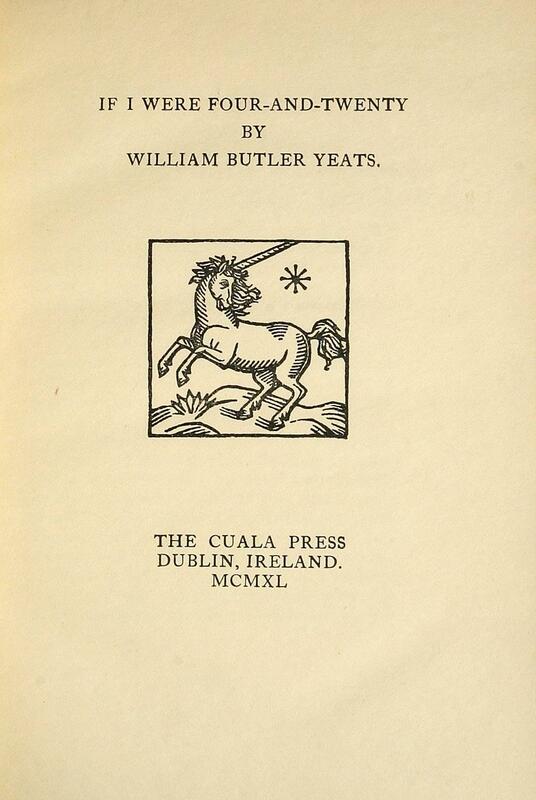 Yeats, William Butler. Responsibilities. Macmillan and Co., London (1916). And Other Poems; design by Sturge Moore. Yeats, William Butler. Per Amica Silentia Lunae. MacMillan and Co. Ltd., London (1918). design by Sturge Moore; 1500 copies. Yeats, William Butler. Wild Swans at Coole. MacMillan and Company, London (1919). illustrations by Sturge Moore. Yeats, William Butler. Four Plays For Dancers. MacMillan Company, New York (1921). Illustrated by Edmund Dulac. Yeats, William Butler. Seven Poems And A Fragment. Cuala Press, Dundrum (1922). And A Fragment; 500 copies. Yeats, William Butler. Trembling of the Veil. T. Werner Laurie, London (1922). 1000 copies printed. 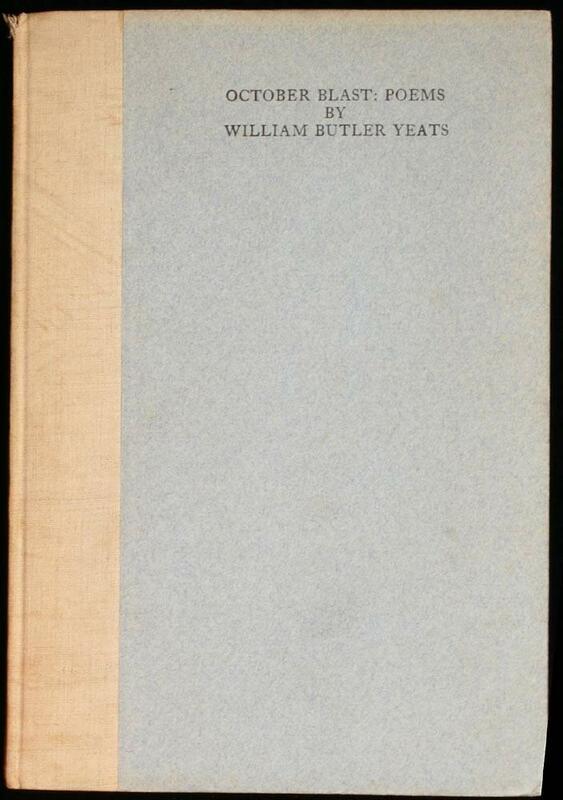 Yeats, William Butler. Essays. Macmillan and Co., London (1924). 250 copies. Yeats, William Butler. Later Poems. Macmillan Company, New York (1924). 250 numbered copies. Yeats, William Butler. Plays and Controversies. Macmillan Company, New York (1924). 250 copies printed. Yeats, William Butler. Lake Isle of Innisfree. John Henry Nash, San Francisco (1924). enhanced by George Sterlings. Yeats, William Butler. TO-MORROW. Dublin (1924). Includes Yeats' Leda and the Swan, the first Irish printing; contributions by Lennox Robinson, Liam O'Flaherty, Arthur Symons, Maurice Gonne, and a poem by Blanaid Salkeld; painting by Irish artist Cecil Salkeld. Yeats, William Butler. A Vision. T. Werner Laurie Ltd., London (1925). An Explanation of Life Founded Upon the Writings of Giraldus and Upon Certain Doctrines Attributed to Kusta Ben Luka; Limited to 600 copies. Yeats, William Butler. Bounty of Sweden. 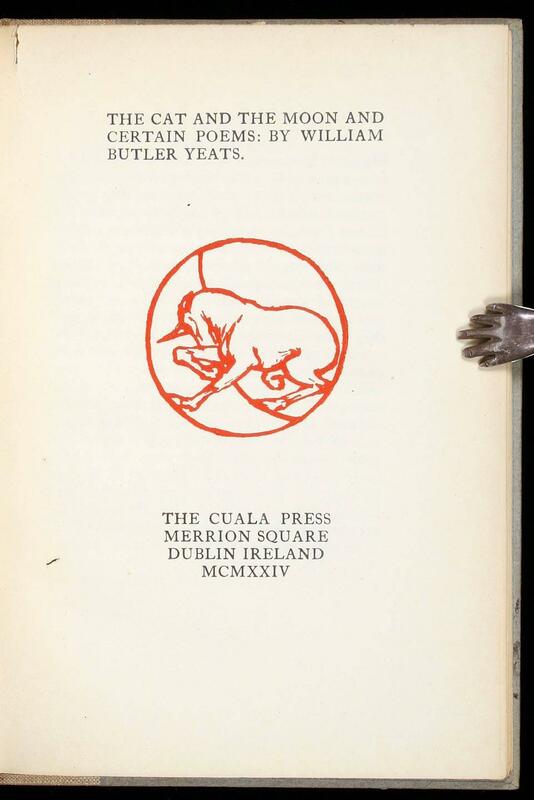 Cuala Press, Dublin (1925). a Meditation, and a Lecture Delivered before the Royal Swedish Academy and Certain Notes by William Butler Yeats; 400 copies. 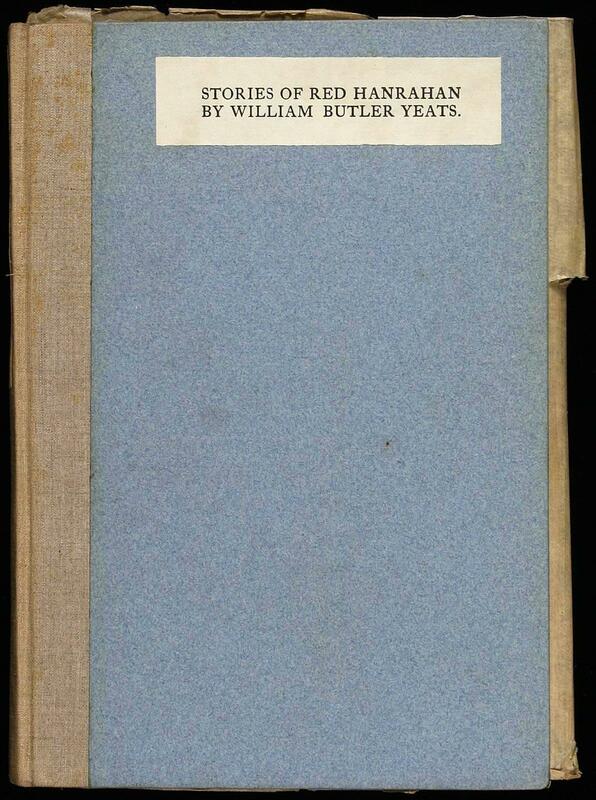 Yeats, William Butler. Autobiographies. Macmillan Company, New York (1927). 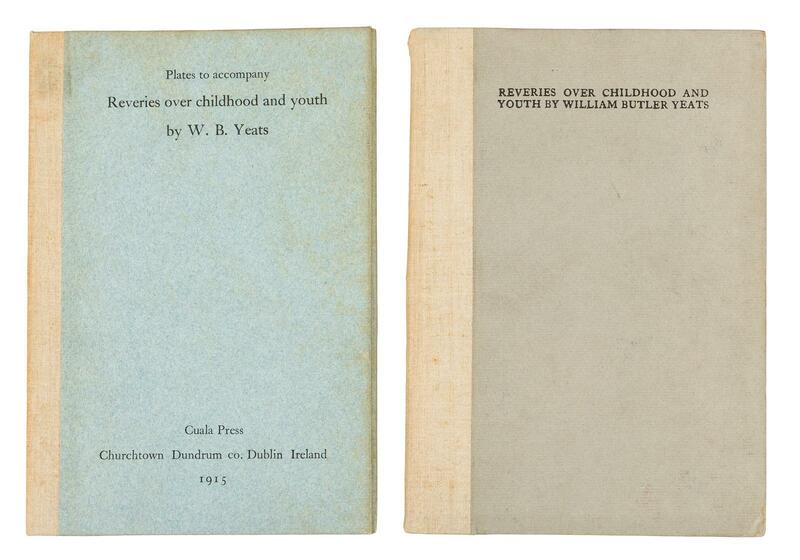 reveries over childhood and youth, and the trembling of the veil; 250 numbered copies. Yeats, William Butler. Death of Synge. Cuala Press, Dublin (1928). And Other Passages From an Old Diary; 400 copies. 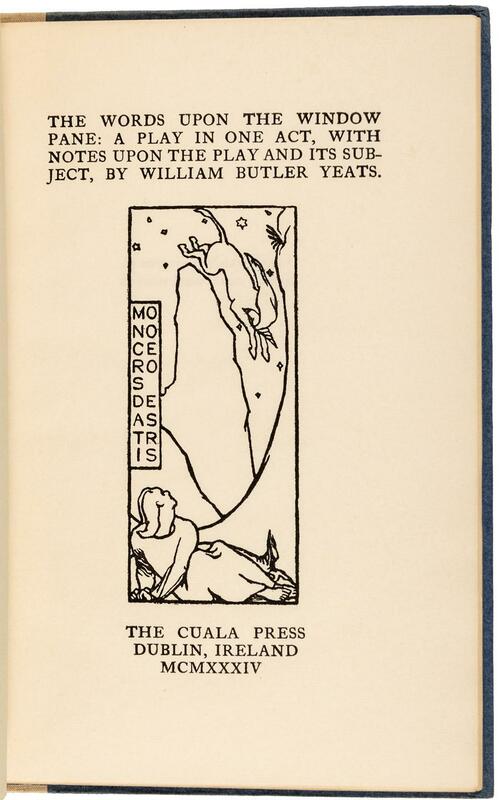 Yeats, William Butler. A Packet for Ezra Pound. Cuala Press, Dublin (1929). 425 copies. Yeats, William Butler. Winding Stair. Macmillan Company, New York (1933). And Other Poems; 2000 copies. Yeats, William Butler. King Of The Great Clock Tower. Cuala Press, Dublin, 1934. (1934). Commentaries And Poems; 400 copies. Yeats, William Butler. Dramatis Personae. Cuala Press, Dublin (1935). 400 copies printed. Yeats, William Butler. Last Poems and Two Plays. Cuala Press, Dublin (1939). 500 copies. Yeats, William Butler. If I Were Four-and-Twenty. 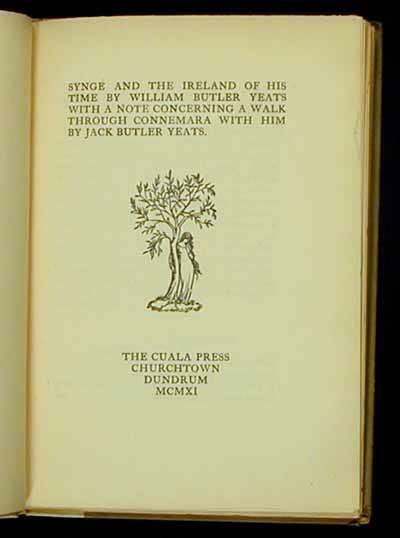 Cuala Press, Dublin, Ireland (1940). 450 copies. Yeats, William Butler. Last Poems and Plays. Macmillan, New York (1940). cover design by Sturge Moore; 2000 copies. Yeats, William Butler. Pages From A Diary Written In Nineteen Hundred And Thirty. Cuala Press, Dublin (1944). Limited to 280 copies. Yeats, William Butler. Poems of W.B. Yeats. Macmillan and Co., London (1949). 2 volumes; 375 copies. Yeats, William Butler. 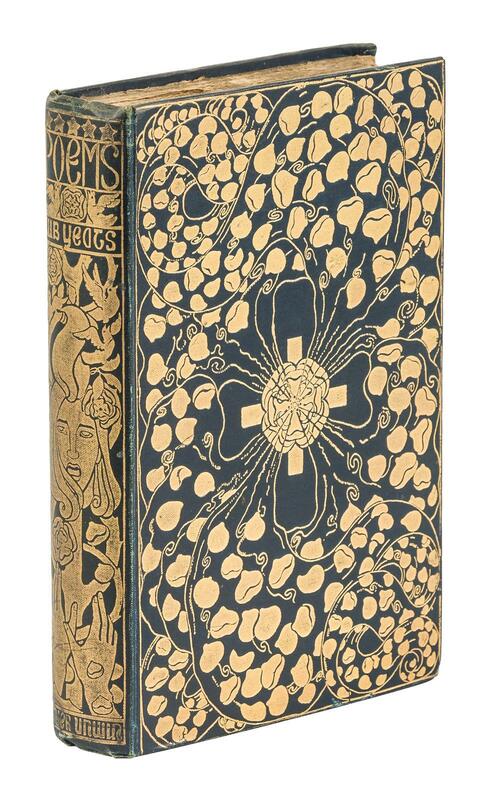 Variorum Edition of the Poems of W. B. Yeats. Macmillan, New York (1957). Edited by Peter Allt and Russell K. Alspach; limited to 825 numbered copies. Yeats, William Butler. Poems of W.B. Yeats. Arion Press, San Francisco, CA (1990). 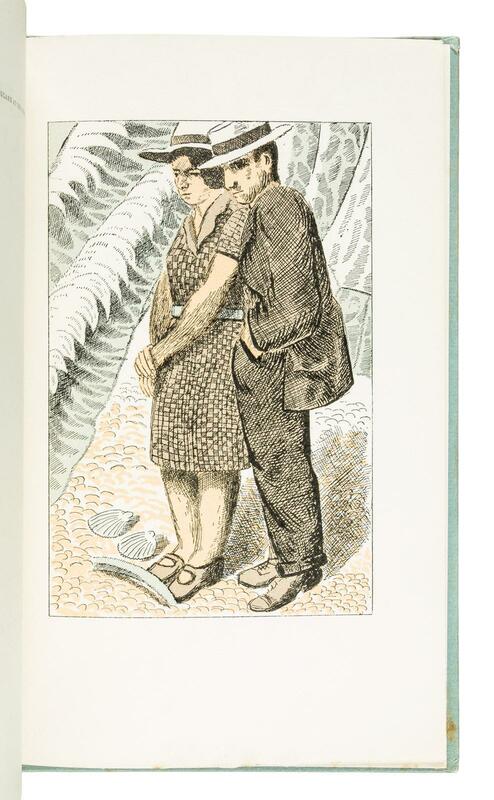 With six etchings Richard Diebenkorn; Selected and Introduced By Helen Vendler; 426 copies.